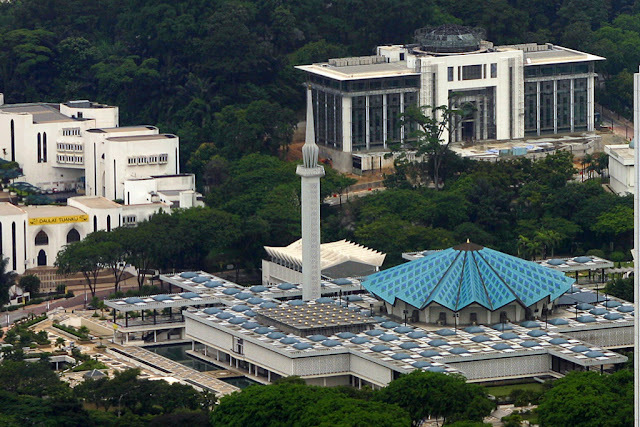 The main entrance of the Malay World Ethnological Museum. 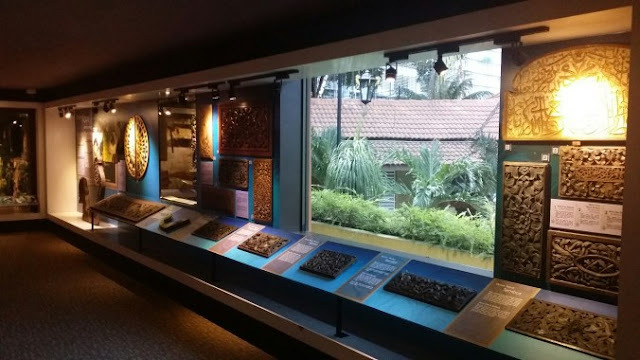 Another museum that is quite interesting for the fans of the cultural history and traditions of the Malay world. 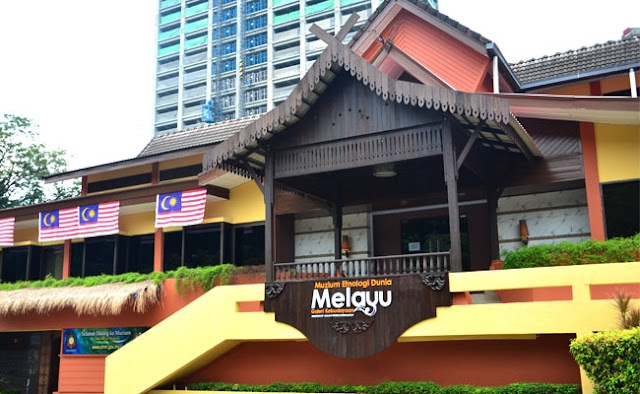 This is because the museum is not only dedicated to the Malays in Malaysia alone but also all other Malays communities that covers wider area. Situated near the building of the National Museum, the Malay World Ethnological Museum is smaller and the front wooden structure built to resemble a traditional Malay house. 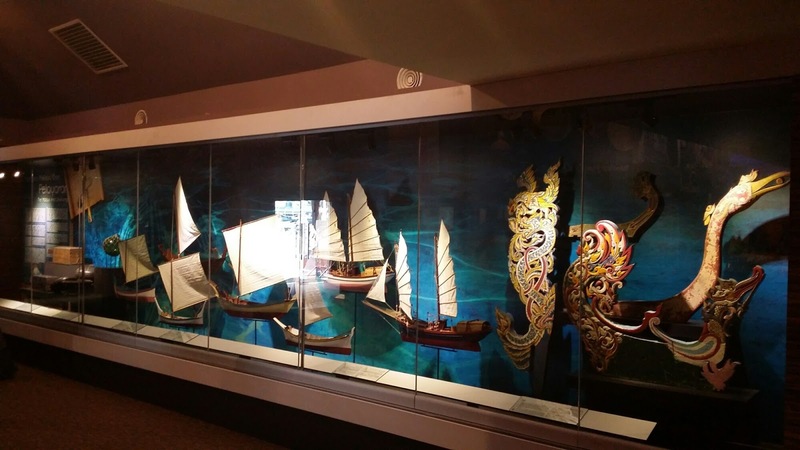 What interesting here is, this museum also includes exhibits from around other region including Malaysia, Indonesia, Thailand, Philippines, Cambodia, Vietnam, South Africa, Madagascar and also of Malay Polenesia. This will open up your knowledge of the Malay world as a whole. 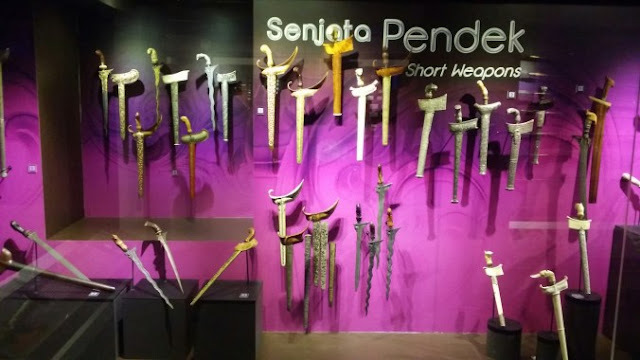 Among the collections exhibited in the museum includes textile goods, weapons, sculptures, metal tools and technology, jewelries, musical instruments and so on. Do not forget also Malays recreation activities such as traditional kite (wau), shadow puppets (wayang kulit) (which include several countries of Malaysia, Indonesia and Thailand), the spinning top and many others. Through this exposure, it is quite easy for us to understand the connection between us which is actually inside a huge group of ethnic. Most of the exhibits here will raise many questions about the real world of Malay people. Perhaps some will be answered and the rest you should work on for the answer. It is like bringing together pieces of the puzzle that is quite interesting to note. But after you figure it out, let it be known by us that we all come from the same family. "Keris" from many different parts of Malay world. Kitchen utensils used by the Malays. Water transport and naval technology. Open daily from 9.00am - 6.00pm. * Close the Hari Raya Aidilfitri and Hari Raya Haji. By Bus or Taxi and Commuter / Putra LRT off at KL Sentral station, walk 0.5 km to the National Museum, MRT also available when it starts in service soon.